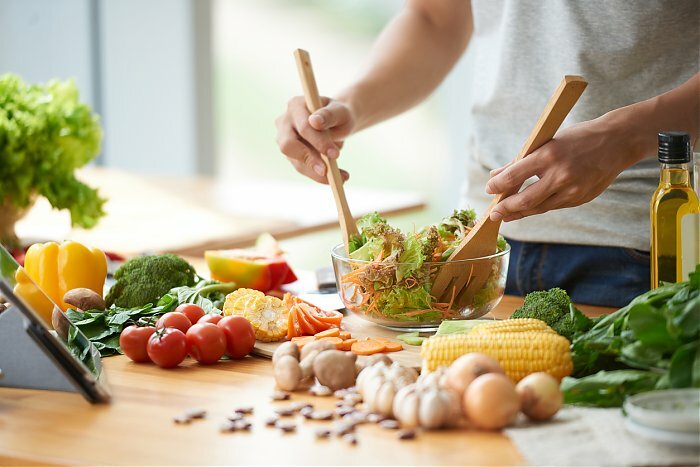 Eating a healthy balanced diet high in fiber, low in saturated fat and trans-fat can help you lower your cholesterol and keep your heart and blood vessels healthy. However, certain foods are exceptionally good at bringing down elevated cholesterol levels. One of this kind are the foods rich in plant sterols and stanols. Sterols and stanols also called ‘phytosterols’ are naturally occurring components found mainly in plants foods. They have a structure that is very similar to that of cholesterol that can help to lower LDL, or “bad” cholesterol, that can increase your risk for heart disease. How do Plant Sterols Benefit Your Health? Like soluble fiber, plant stanols and sterols also can help block the absorption of cholesterol from the digestive tract. Since phytosterols are structurally similar to cholesterol, when consumed in the diet they work by preventing the body from absorbing cholesterol in the intestines. This in turn helps to lower blood levels of LDL or “bad” cholesterol level that can increases your risk for heart disease. Studies show that a daily intake of about 2 grams of either stanols or sterols reduces LDL cholesterol by about 5–15 percent—often within weeks. How to get plant sterols and stanols? Plant stanols and sterols occur naturally in lesser amounts in many plants. These are most commonly found in fruits, vegetable, oils such as rice bran, corn, sesame and olive oil, legumes, whole grains, nuts and seed. However, the challenge is getting enough phytosterols in your diet to have a significant cholesterol-lowering effect because most foods are not naturally rich sources of these phytosterols. For example, one tablespoon serving of sesame oil, corn oil and canola oil has .09 g to .1 grams of phytosterols; many fruits and vegetables have about 0.01 to 0.03 grams per serving. Due to which, many foods such as breads, low fat milk, low fat yogurt some fruit juice, cereals etc are now being fortified with plant sterols/ stanols. Plant sterols and stanols are available as supplements as well. Although safe and effective, large doses of plant sterols and stanols may cause nausea, indigestion, diarrhoea, and interfere with the absorption of fat-soluble vitamins. Talk to your doctor before taking the supplement. Also, it is worth recalling that, the intake of plant sterols and stanols to lower cholesterol should be complimentary to eating a heart healthy diet --low in saturated fat and high in fibre or taking cholesterol-lowering medications prescribed by your doctor. Will You Have Chest Pain Before a Heart Attack?